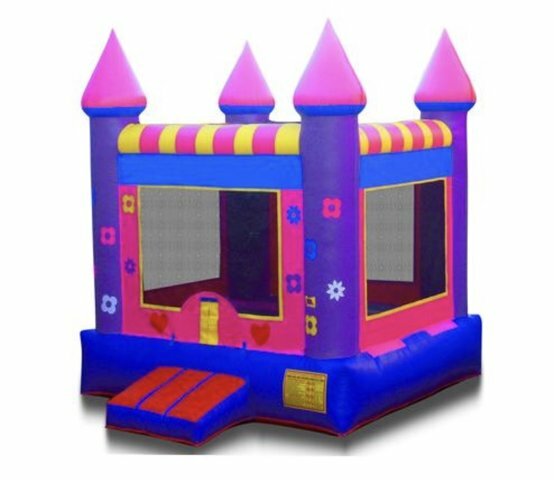 <small>Girls love pink and purple bounce houses. This one is no exception. Colors can match a number of themes from My Little Pony to Hello Kitty the possibilities are endless.Or choose from one of our hidden banners and transform this ordinary plain bouncy into the theme that you want for your Special someone on her special day.